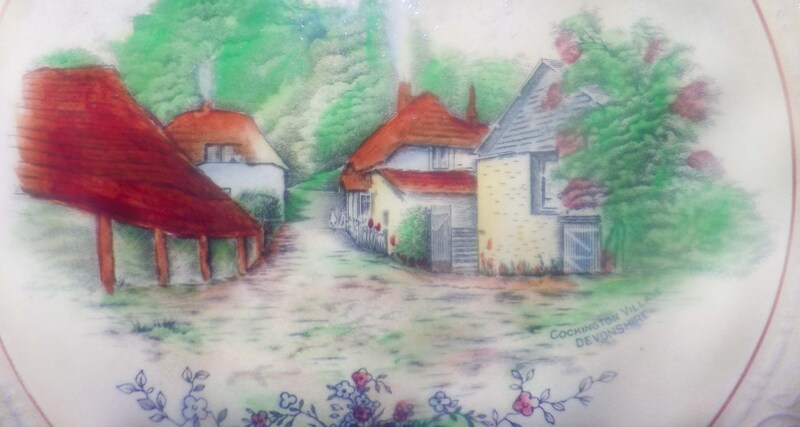 Antique (1910s) Crown Devon Fieldings | SF&C British Scenes square, creamware dinner plate Cockington Village Devonshire. 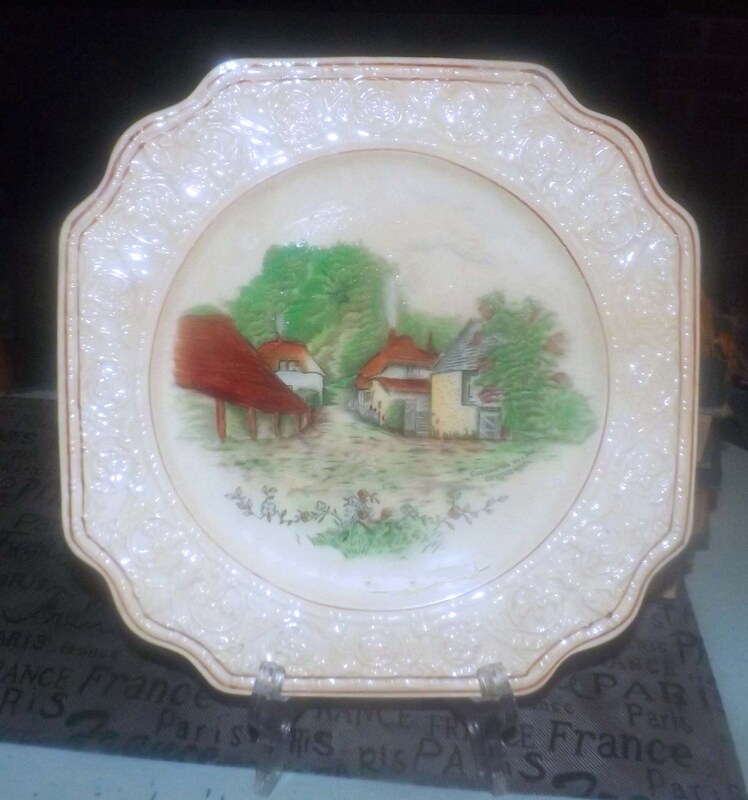 Antique (1910s) highly collectible Crown Devon Fieldings | S. Fielding & Co. | SF&C British Scenes squared creamware dinner plate featuring the thatched cottages of Devonshire's Cockington Village. 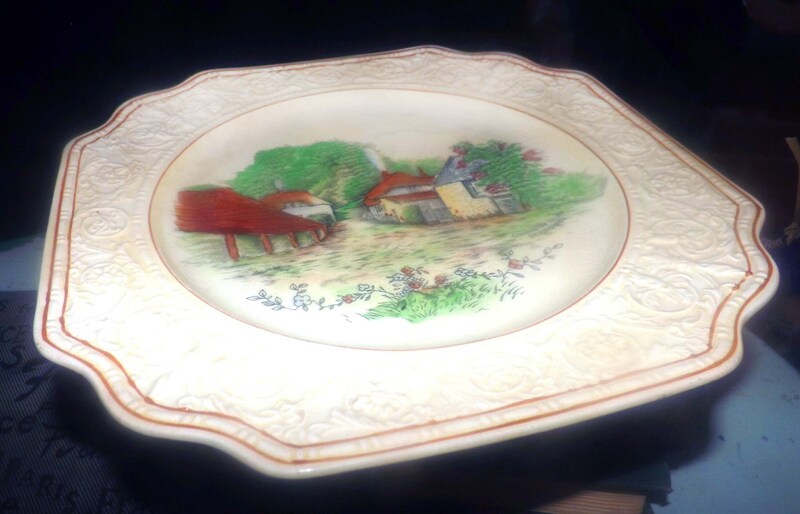 The British Scenes wares by Crown Devon were produced in a few different colors. 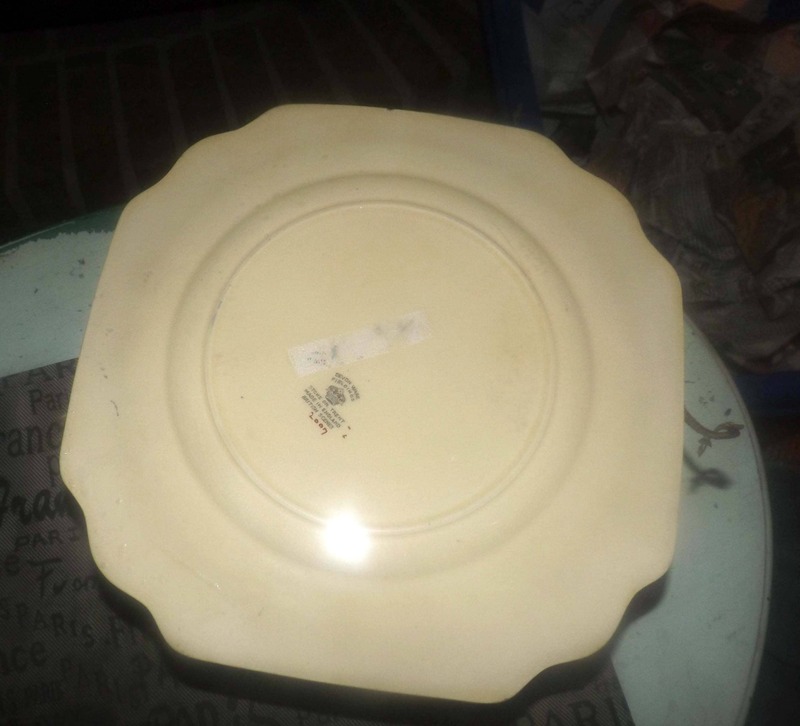 This plate is light cream in color with a broad high-relief, floral creamware border band, rust-colored inset bands and a scalloped, gently embossed edge. In VERY GOOD! antique condition with NO! chips, nicks, cracks or fleabites and NO! utensil marks or other signs of use or wear. The cottage landscape scene is vivid and bright with NO! fading apparent. There are a few LIGHT! 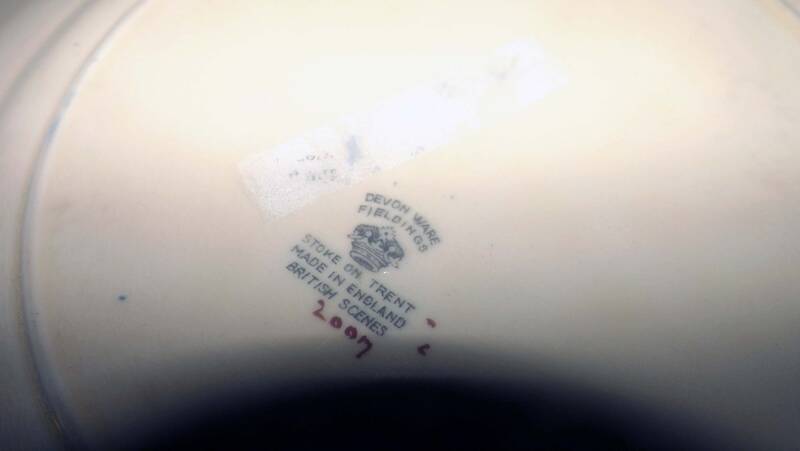 scuffs to the reverse of the and a piece of tape across the reverse onto which someone has written a name in pen. Plate shows MODERATE! crazing, in keeping with its age. All in all a great Crown Devon piece in wonderful condition. 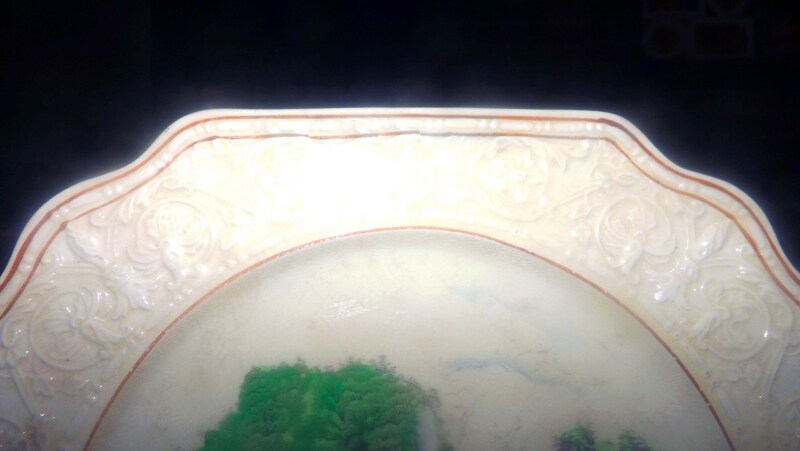 Approximate measurements: 10" in diameter with a scalloped, high-relief, embossed edge.